Several users who are planning to build a new business or personal website often ask where can they find the best selection of excellent WordPress themes. It is significant to realize the fact that there are multiple numbers of WordPress Theme Marketplaces available out there. Most of these marketplaces boast a fascinating collection of WordPress themes. However, if you are new to the world of WordPress theme marketplaces, then you might find it really hard to identify the right marketplace for you. This is where we can be of great help to you. We have compiled a list of top ten WordPress theme marketplaces where you will be able to find the best WordPress theme that suits the requirements of your website. You need to realize the fact that finding the ideal WordPress theme for your website might be a time consuming and challenging process if you fail to plan things accordingly. The good news is that you will be easily able to avoid such hassles by asking yourself the following three simple questions before choosing a certain WordPress theme marketplace or theme. What is the primary purpose of my website? What is your website really about? What is your plan or strategy to accomplish your business website goals? For instance, if you are planning to launch a new online store, then it is best to look for a WordPress theme that is compatible with the e-commerce plugin. On the other hand, businessmen who are looking to sell only a single product should visit a WordPress theme marketplace that sells sales page themes. In addition to that, you should consider about your lead generation strategy, content marketing plan, and the essential WordPress plugins that you will need on your business website before settling for a certain theme. Some of the best WordPress theme marketplaces where you can find an abundant collection of top-quality themes are the following. Users who are in search of a free yet feature-rich WordPress theme will instantly fall in love with the WordPress.org theme directory. It has a fascinating collection of more than 4800 free themes. In fact, WordPress.org theme directory has the largest collection of free themes for WordPress websites. The themes that are available in this marketplace usually undergoes a rigorous review process. This implies that the themes in WordPress.org theme directory strictly adhere to the guidelines of the WordPress theme directory. However, an important thing to note is that some of the features that are available in premium themes will be absent in these free themes. MOJO Marketplace is another popular marketplace where users can find an abundant collection of WordPress plugins, themes, and other services. More than 7000 excellent WordPress themes are available in this marketplace and approximately 900 of these them are premium themes. Each and every theme listed at this marketplace is subjected to a manual submission process. The review team puts in extra efforts and carefully examines each one of these themes for ensuring excellent coding standard. The MOJO Marketplace is neatly organized into categories and topics along with a search feature. This in turn enables users to quickly locate the WordPress theme they are looking for. ThemeForest is actually a part of the Envato family, which is a massive network of video, audio, graphics, and design marketplace. ThemeForest contains an excellent collection of premium WordPress themes that are neatly organized, which means that users can easily find them. Some of the top selling WordPress themes can be found in this marketplace. Theme developers usually offer full support to most of the themes that are listed in the ThemeForest marketplace. In fact, the majority of the WordPress themes in this marketplace contains a 6-month license period that includes updates and support. You will be able to see the rating, review, and even the portfolio of theme developers when you buy WordPress themes from ThemeForest. 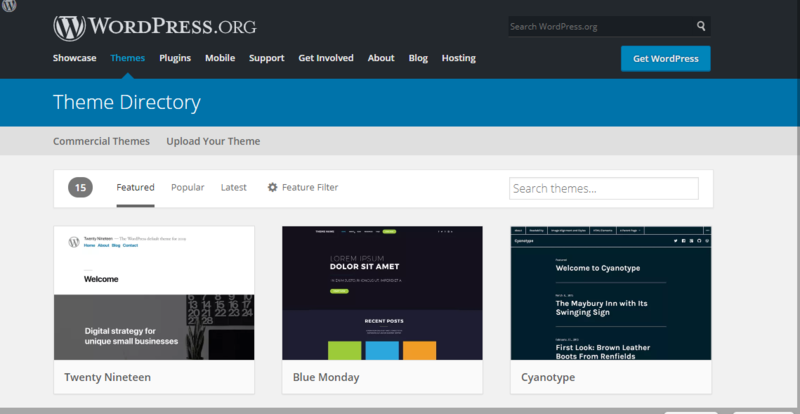 It might come as a surprise to many readers when they hear the fact that Elegant Themes is one of the oldest WordPress theme shops. This marketplace boasts an excellent collection of WordPress plugins and themes. In addition to that, one of the most popular and widely used drag and drop page builder, which is called as the Divi builder is also available at this platform. What makes Elegant Themes unique and different from other WordPress theme marketplaces is that the former designs and sell their own WordPress themes. Almost all themes available at this marketplace is compatible with different types of WordPress plugins and they are also optimized for performance and speed. CSSIgniter provides a huge collection of elegant and powerful premium WordPress themes that can be used for different types of business and personal websites. There are more than 80 premium WordPress themes in this marketplace and most of them are equipped with multiple numbers of useful features and handy tools. The CSSIgniter marketplace has been popular among developers and designers since the year 2010. An important thing to note is that CSSIgniter has the best selection for WordPress themes for magazines, businesses, hotels, and restaurants. Almost all themes in this marketplace are user-friendly and they come with simple customization options and flexible features. Another famous WordPress theme marketplace that is immensely popular among web designers and developers is the StudioPress. It is crucial to note that the Genesis theme framework was actually developed by the team at StudioPress. This fascinating framework offers an excellent foundation for designing top quality WordPress themes. Themes developed by StudioPress and the ones created by third-party developers are available at this marketplace. Most of the WordPress themes available at StudioPress are actually Genesis child themes. Most of the StudioPress themes provide simpler features to developers that enables them to add a unique touch to their websites. Moreover, these WordPress themes are relatively a lot easier to install when compared to other premium themes. You will be able to find plenty of excellent WordPress themes that are suitable for using in different types of websites in the above-mentioned WordPress theme marketplaces. However, if you are unable to decide which marketplace is the right choice for you or if you are looking for guidance on how to select Bootstrap Dashboard Templates, then it is best to reach out to us because we are here to help you.